How to make an appealing Calendar for 2021 in PowerPoint? Check out this sample 2021Calendar.PPTX now! 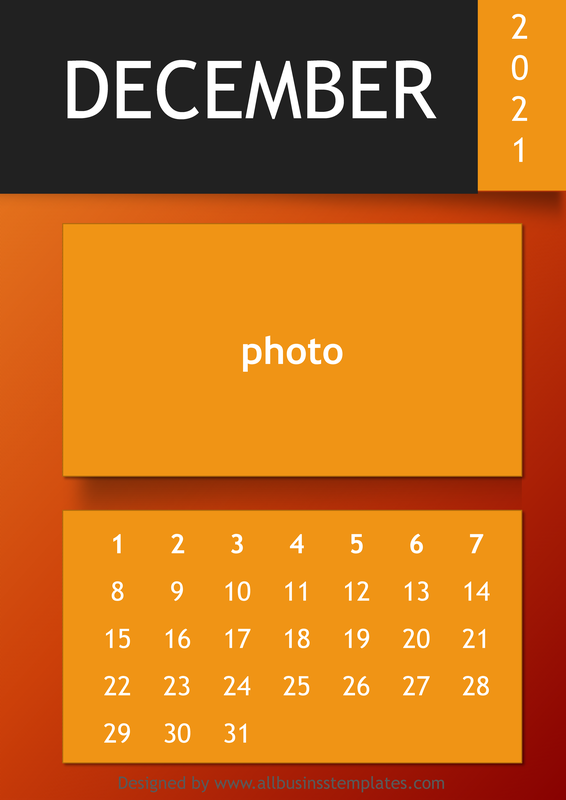 We provide this 2021 PowerPoint Calendar PowerPoint template to improve your presentation. Our PowerPoint templates are regularly screened and used by professionals. If time or quality is of the essence, this ready-made presentation can certainly help you out! A lot of people spend time and attention to detail in compiling amazing PowerPoint presentations that make help explain their business. We have done lots of hard work already for you. We have an entire team of visual consultants & designers searching, designing and optimizing PPT templates to provide for your convenience. Also, we have lots of donation presentation templates available online. We have found ways to increase the quality of the PPT templates and hope they will turn into more profits for your organization or making everything a little easier! This page lists our most popular presentation templates. You can also download professionally designed .ppt and .pptx files to increase your productivity. Here you find a large proportion of our collection of free and premium PowerPoint templates. Every template has a brief description with the download link. If you want to learn more about the templates, check it out now. Customizing your own calendar template is easy. It can be further edited via your own computer after you downloaded it. In our collection, you'll find a variety of monthly or yearly calendar templates that are ready for a free download and after some customization, ready to use in your home, office or school. Using this 2021 PowerPoint Calendar makes life easier. You will see that finishing a strong presentation has never been easier! Download this 2021 PowerPoint Calendar PPT now!